When you’re concerned about maintaining the quality of your belongings, climate-controlled storage space is the best option. At the Jacksonville AA Storage facility, we offer ten sizes of climate-controlled storage space, so you can choose the unit that’s right for your needs. What makes AA Self Storage Jacksonville’s climate-control specialist? Are you looking for climate-controlled storage managed by a professional staff and backed by 24 hour security? 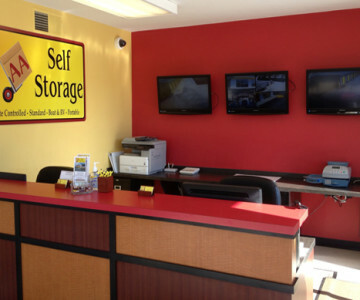 Call our Jacksonville, NC AA Self Storage facility today.